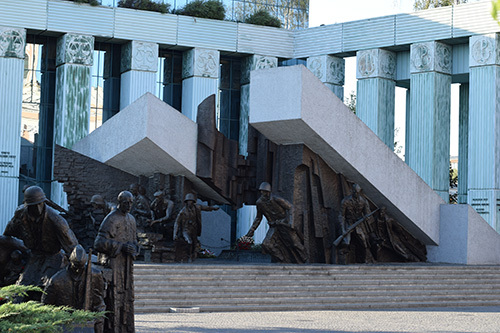 The Warsaw uprising memorial stands in the Warsaw's Karsinski Square. Group 1 (the main memorial) depicts an attack by an insurgent unit. Group 2 "Exodus" represents the withdrawal by the canals.